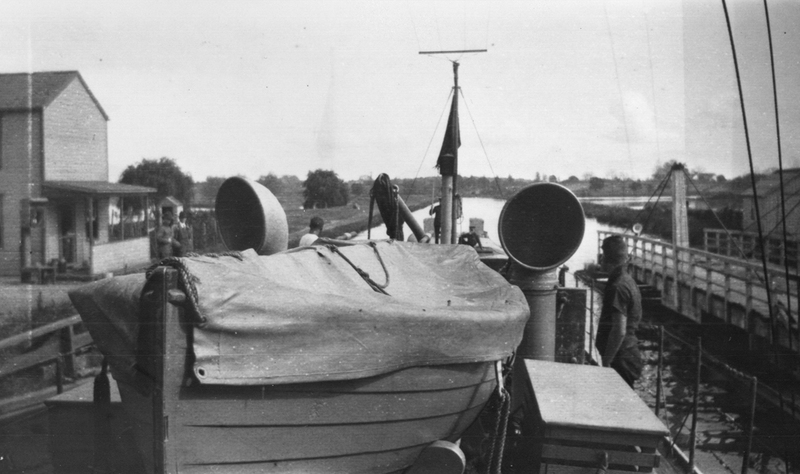 Two new photo sets from the collection of chaser crewman William Barker, Sr., show chasers traversing a canal and at sea, and crewmen/officers. The Chaser Photo Set includes some nice close-aboard images of the wherry under canvas. The Crewmen Photo Set shows officers and crew, and some excellent close images of a Lewis machine gun mounted on the bridge wing.